All marquee letters have hooks on the back for hanging in your home after the wedding! Marquee lights are made out of real galvanized metal (not paper mache) with clear 1.5" diameter glass bulbs to give an authentic, warm glow. Our letters have holes precisely cut to hug and fit each bulb securely. All letters can lean to help stand on their own or we have stands available. Each letter requires a stand. 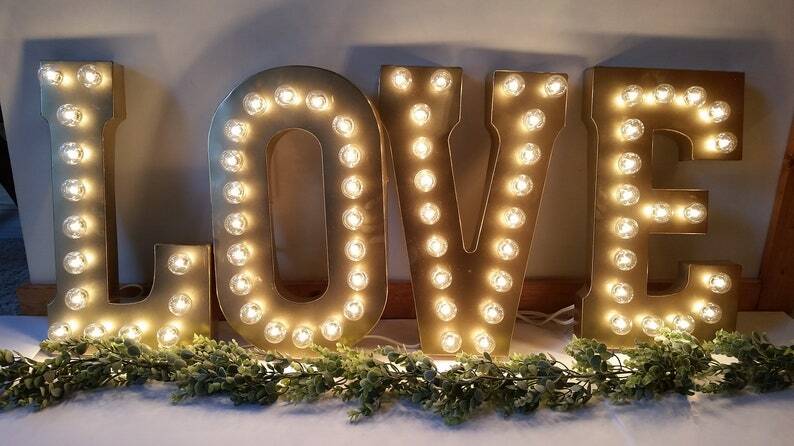 This listing is for one "LOVE" marquee light SET (four letters).